Stunningly Unique Design and Highly Reusable Layout – a creative theme best suitable for creative agency / individual portfolios and for innovative business showcase. Flat Design style, the popular trend on web that produces a clean and minimal look and feel. 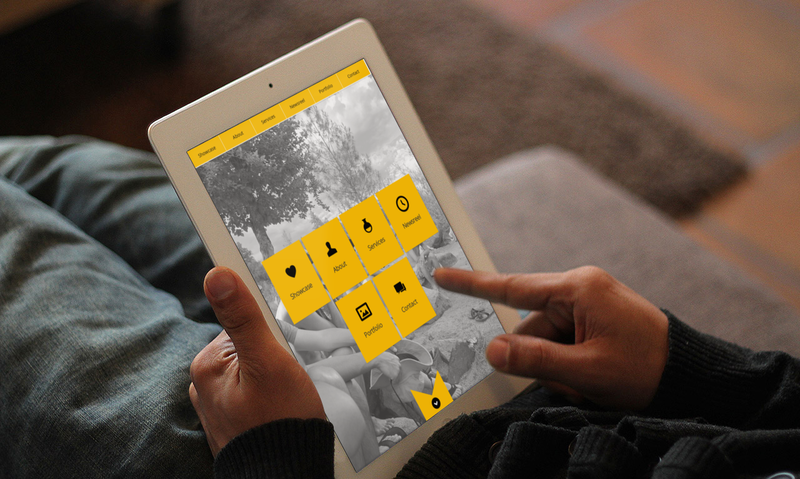 Perfectly responsive layout across all devices including iOS mobile devices, android and windows phone platforms. Built with Bootstrap 2.3.2 – World’s best Responsive Front-end Framework. Most easy to use and customize. ISOTOPE (Premium Plugin Worth USD 15) Powered Filterable Portfolio / Gallery with Lightbox. 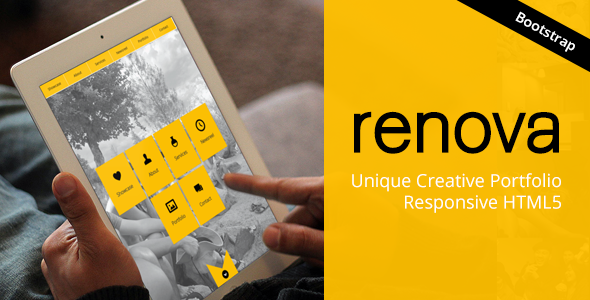 Responsive Image Showcase – A handy showcase module best suited for displaying a large number of photos or images. Photographers will love this one, it includes a responsive lightbox also. Full Screen BG Image Slideshow – Image slideshow on the background of the whole page, making it subtle and layered under the content panels. Project Info with integrated Images Slider inside Responsive Lightbox triggered via AJAX – the best way to showcase your project information and images at the same time. Content + Image Carousel / Slider – a very usable content slider that supports any HTML5 content. Also supports all UI patterns from Bootstrap. Integrated Twitter Widget displaying latest tweets. Additional pages such as Thanks page and Error404 page. Precisely hand-coded HTML5 template with w3 valid cross-browser compatible markup. Our awesome support team is always available to help you on bugs and issues related with our themes. This template includes precisely handcoded w3 valid cross browser compatible HTML5 markup and JSHint compatible JS code. The mobile menu is now sticky by default (popular request served). Better optimized on hand-held devices. Re-Up of v1.2 on 18 June, 2013. Updated to v1.2 on 14 June, 2013. New Twitter API migration fixed. Updated to v1.1 on 02 June, 2013. We are not distributing these images with downloadable pack (instead placeholder images are provided). if you like the work, please rate it on TF.